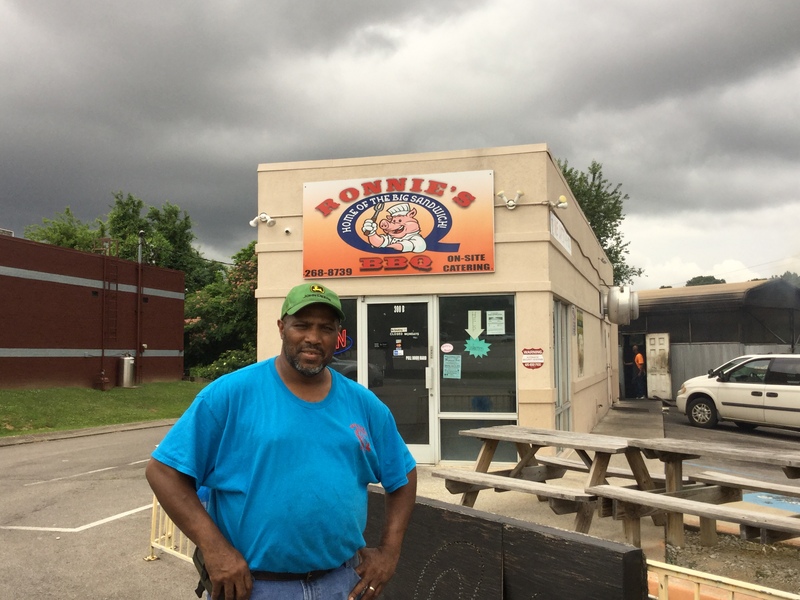 Ronnie's Q Catering is owned and operated by Ronnie Primm. As a young boy, he grew up in rural Charlotte, TN, and it was then that he learned the importance of a strong work ethic. He worked on a tobacco farm alongside his dad and five brothers. His dad led by example and he knew early on that hard work and determination would pay off in the long run. It was during those years that he began to learn the art of Bar-b-que. He still remembers his dad and uncles making preparations to Bar-b-que. That always kept his full attention. In those days a whole hog was almost always used. While someone "dressed" the hog, the others would prepare the pit. The pit was made by layering concrete blocks onto the ground in a square shape. Fence wire or an old bedspring would hold the hog. Someone would spread hot coals from hickory slabs beneath the hog. The sides of the pit would be enclosed with pieces of tin roofing, and heavy cardboard was put on top of the hog. Thus began the long night of camaraderie, story and joke telling and just plain old tall tale telling. It was those nights long ago that sparked Ronnie's interest in the art of Bar-b-que, which continues to this day.